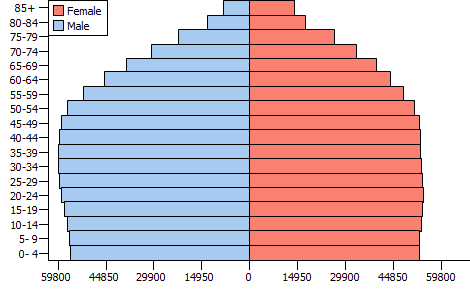 This section illustrates use of population pyramids to examine age by gender demographic patterns for India as of 2010 and 2050. Similar population pyramids can be developed for any country. Population pyramids help us visualize and more easily understand age-gender structure — and how it is changing over time. 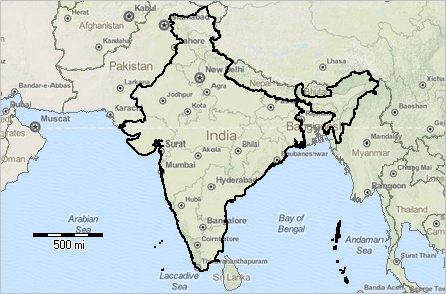 As shown in the graphic below, the population of India is projected to be the largest of any country in 2050. See related interactive table with world by countypopulation projections. View developed with CV XE GIS; see more about this GIS project below. 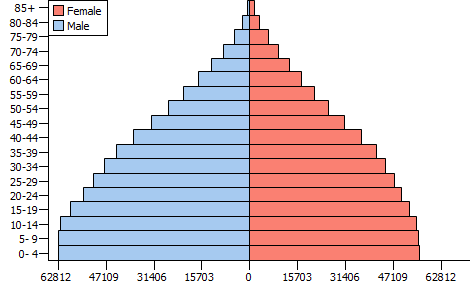 Population pyramids are bar-chart graphical depictions of the population size by gender by age group. They help us understand the implications of male-female population size by age and what that might suggest for the future. X-axis shows population in thousands. Click graphic for larger view with related data table. Using age-cohort analysis tools … learn more about using age-cohort patterns and analysis. Join us in a Decision-Making Information Web session. There is no fee for these one-hour Web sessions. Each informal session is focused on a specific topic. The open structure also provides for Q&A and discussion of application issues of interest to participants. We can address your specific questions about using metro and county demographic economic data and related applications.